In celebration of Eid Al Adha, families enjoy a hearty lamb dish which is shared with the poor and underprivileged and serves as a reminder of the day of Abraham’s sacrifice. Meals tend to vary depending on the traditional food served in different parts of the world. Read through our list of mouth-watering meals which you can prepare for Eid Al-Adha and try a new and inspiring recipe this year as you celebrate with friends and family. For those family members who have been fasting, they will be in for a feast. 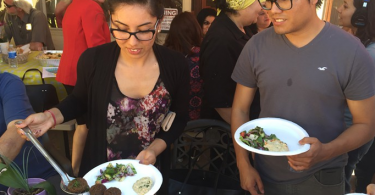 So come along with us as we introduce you to some dishes from across the Arab nations. 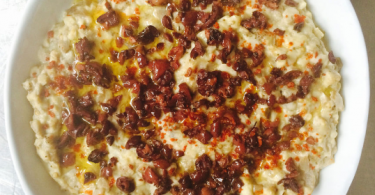 Herbel, harcha, beghrir, krachel, and chebakia – Maghreb: To add something new to the breakfast table, try one of these dishes. Herbel is a warm wheat and milk soup, which is rather filling. Harcha is prepared as a semolina flatbread, and beghrir is a semolina honeycomb pancake. If you have some semolina in your pantry, it’s a great idea to make some pancakes or a flatbread for breakfast. 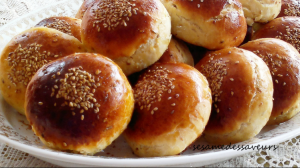 For some sweetness, krachels are sweet little rolls with anise and sesame which you can try and then there is also Chebakia is made of a sweet almond dough topped with sesame seeds. Cucumber and yogurt salad with a hint of mint – Iran, Syria, Lebanon: If you’re preparing any meat dish, it’s always best enjoyed with a serving of this salad which is straight forward and requires some basic ingredients, fresh mint, garlic, creamy yogurt, and tiny pieces of sliced cucumber. Fatteh – Egypt: Fatteh is an Egyptian meal which is prepared by cooking rice, meat, crispy bread together in a pot and adding vinegar and garlic to the mix to flavor it. Fatteh is not only prepared for Eid Al – Adha but also in celebration of the birth of a child in the family. Lamb – various Arab countries: When it comes to lamb, you can pick and choose as there are so many ways to prepare it. You can serve it as a kebab, or do a mechoui steamed lamb, a kofta curry, or an Afghani shule goshti. Fried livers are delicious, and lamb can even be served raw, as many of us enjoy it this way. Maqbous Rice – Oman: Here is a lovely, succulent saffron infused rice, and is perfect to serve alongside your main meal. 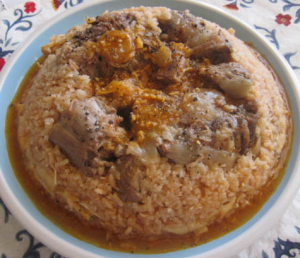 The rice is prepared by cooking it over the meat and adding cardamom and cinnamon sticks along with other spices to give it a delicious, unique flavor which Omanis love. Mansaf – Jordan: Mansaf is a great recipe for all you ‘foodies’ out there. A traditional Levantine meal, it is the national dish for Jordanians which is prepared by cooking the lamb in a fermented yogurt sauce, and served with either rice or bulgur. Kulfi ice-cream– South Asia: A South-Asian dessert, Kulfi is an ice-cream which is made of buffalo milk which is boiled for a thick, creamy texture. 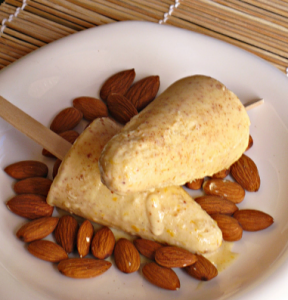 The almond kulfi is particularly refreshing to have as a sweet dessert. Ma’amoul with pistachio and walnuts -Various Arab countries: We all love these shortbread pastries, which are even more delicious with pistachio and walnuts in them. It’s always a good idea to have some of these around when you have guests arriving. Date truffles and rose lemonade – The Gulf: Date truffles and rose lemonade – the perfect ending to a wonderful Eid Al – Adha meal. Dates are delicious to have on their own and superb in date truffles. If you’re making the rose lemonade, you’ll notice that it has a soft, blush pink tone to it and a light aroma which is lovely.